Opel will this year launch the sixth generation of the Corsa and thus bring a revolution in lighting to small cars: the multiple award-winning IntelliLux LED® matrix lighting technology. The newly developed Corsa will feature for the first time the adaptive, glare-free full-LED headlight system that has impressed experts and customers since its introduction on the current Opel Astra (European Car Of The Year 2016). 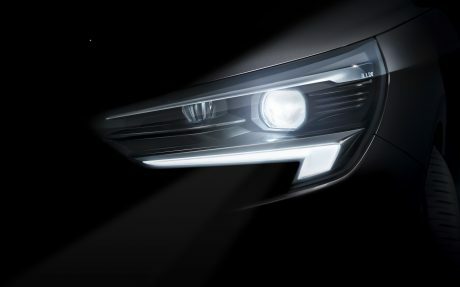 Following their arrival in the compact class, matrix headlights (which are usually found only on expensive premium cars) will therefore appear for the first time in the very popular mainstream B market segment – the biggest in Europe. Another demonstration of the democratisation of technology from Opel – the exciting, approachable, German brand. Starting with the first model in 1982, the Corsa has now recorded sales of more than 13.5 million units. Customers and experts are already enthusiastic about the IntelliLux LED® matrix lighting technology in the Opel Insignia flagship and Astra compact cars: in Europe, 20 per cent of Astra drivers and 60 per cent of Insignia customers order this innovative system. Around 90,000 new Opel cars equipped with matrix technology thus enter the European market per year. The glare-free matrix headlights automatically and continuously adapt to the prevailing traffic situation and surroundings. Approaching traffic and preceding vehicles are simply “cut out” of the illuminated area. Glare is minimised and drivers enjoy optimum visibility.